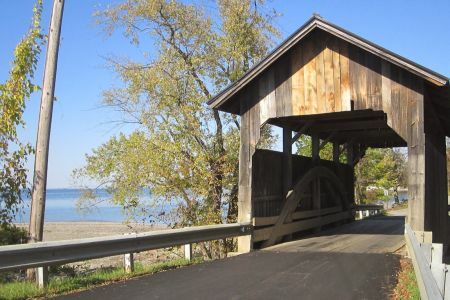 Charlotte sits in the heart of the Lake Champlain Valley, with a series of hills and ridges overlooking the lake. 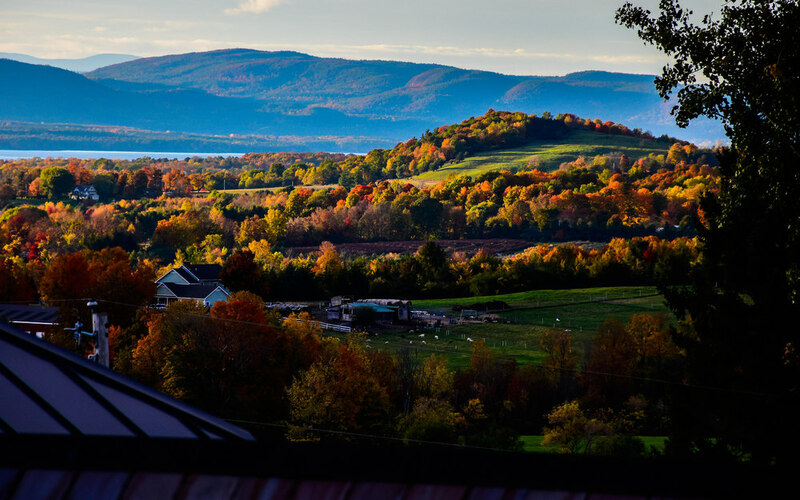 Vermont’s most affluent town, Charlotte’s 3500 residents have the state’s highest home values and average income. The continued beauty of Charlotte in the face of the blight of bad architecture in America is no accident. Charlotte citizens have invested heavily in reducing development in order to keep the terrain natural. 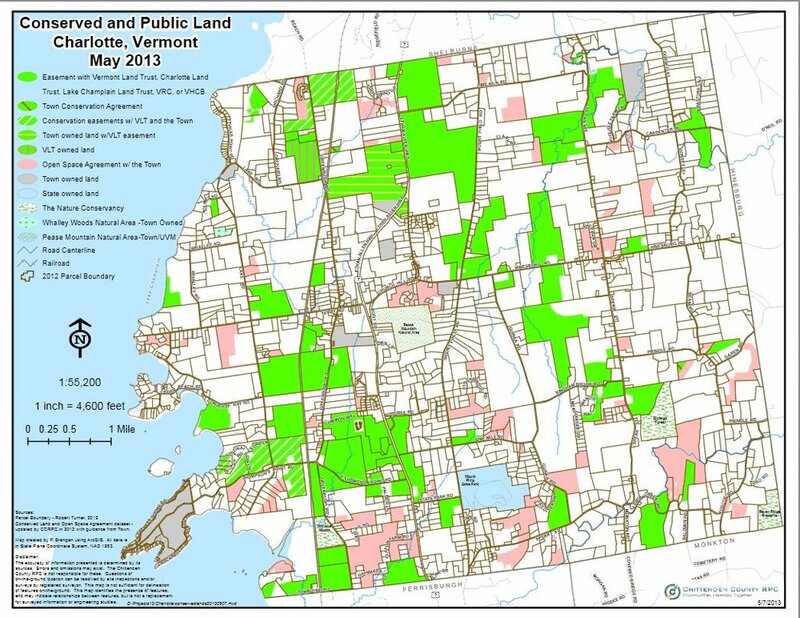 While strip development and 300 unit housing developments have engulfed most towns, the Charlotte Land Trust and Vermont Land Trust have worked hard and spent a lot of money to create a green line, and now control the development rights of over 4000 prime acres. Much of what makes our town great, however, is what it is not:. No Big Box stores, no substandard housing areas, no junky yards, no miracle mile, no fast-food joints, no acre upon acre of identical houses. Frankly, I like all that stuff, but not in my backyard. Charlotte does have the easiest entry into the Burlington metropolitan area, with 5 routes that avoid congestion. It is pleasant and picturesque everywhere in town, which is sizable at 40 square miles. There are some stunning mansions, and lots of very nice houses. We have our own ferry, and Point Bay Marina on posh Thompson's Point with its summer crowd. Mostly dirt roads, people drive at a reasonable pace. We don't have or need a police force. Charlotte is quiet, easy to navigate, personable. There are colorful locals at the coffee shops who own large businesses and drive Subarus. This approach should protect the town from being swallowed, forever. There are some great deals on spectacular real estate in town. If you want to escape your concrete world, Charlotte is a great place to land.